Preorders for the complete set of six color variants are welcome to ship in late December 2018. 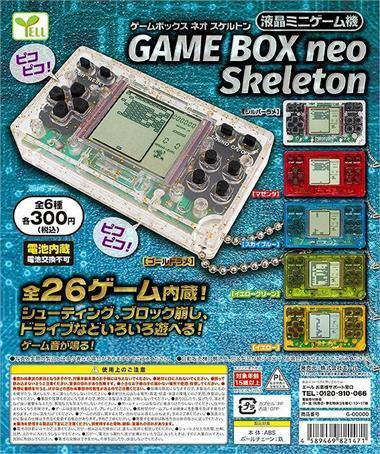 The Game Box Neo Skeleton is fully functional and features 26 built-in driving, shooting, puzzle, and block breaking games that may be played. Please note however that the battery inside is hardwired and not easily replaceable once it has been depleted.